Description: The CD “A Blessing of Love” is a beautiful glimpse into the culture of reggae music; the songs are highly layered with theme of love and change, the sincere content of the music makes it incredible relatable. Biography: Glenn Middleton was born during the soulful era in the country of Belize. In 1969 he migrated to Los Angeles, the following year, he move to Brooklyn New York to pursue his studies in music art, in 1978 he return to Los Angles where he became the manger of a night club and the overseer of an R&B band. It was during that time he befriend singer/songwriter Shirley Garden who was singing with Stevie Wonder, a great singer/songwriter himself. Glenn discovered his hidden talent as a songwriter when Shirley Garden saw a rough cut in a diamond and polished up his skills. Glenn currently resides in Minnesota pursuing his ambitions as a successful songwriter. His music is a beautiful glimpse into the culture of reggae music, his songs highly layered with themes of love and change, illustrates his personal experience in travel and relationship. As a songwriter it’s really been a natural way for him to process his life. His goal is to be truthful; to get down to the root of whatever he writes about. The sincere content of his music makes it incredible relatable. His prophetic and romantic lyrics, along with his harmonic phasing, make him a very creative songwriter. His style is characterize as a cross between Bob Marley and OTTIS Redding, and exemplifies a message of love, unity and social responsibility in this time. He is definitely ready to make his mark in the industry. The internet and the music industry are doing a disservice to aspiring musicians. In the world of reggae music, very few remain true and totally committed consciously and spiritually to the music. Rising Star Records is an independent record label based in Minnesota, and has released its debut reggae CD entitled, A BLESSING OF LOVE, a beautiful glimpse into the culture of reggae, music that give us hope to emancipate ourselves from the tradition way of Babylon, which is not readily available on the commercial market. The album is consisting of various artists, including” Lloyd “Bread” Macdonald of the Wailing Souls who sings the title track. Rising Star Records founder and President Glenn Middleton is an environmentally conscious person and as a songwriter, is devoted to bring world listeners, music that is motivating and inspirational, much like the folk-influence songwriting of Bob Marley. His songs highly layered with theme of love and change, illustrates his personal experience in travel and relationship. His goal is to be truthful; to get down to the root of whatever he writes about. The sincere content of his music makes it incredible relatable. 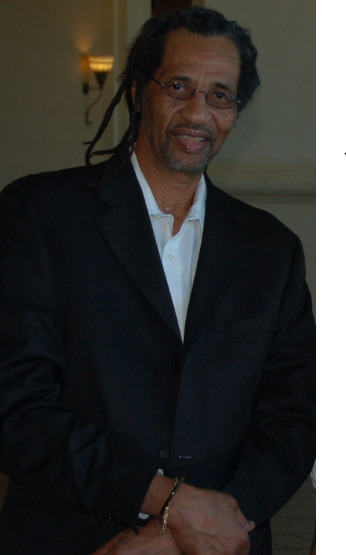 The album is extremely well produced; the instrumental arrangements are well engineered and catchy, each element of the music mixed perfectly to create a masterpiece and is performed by socially conscious musicians who use their music as a vehicle for message, the album receives its blessing from,legendary roots reggae guitarist Tony Chin,drummer Santa Davis and arranger/producer Michael Hyde. RISING STAR RECORDS hope that by spreading positive vibes it can help listeners to find the quality music they desire.